A short post today because I am an idiot and didn’t watch my step yesterday on ancient cobblestones and took a spill. 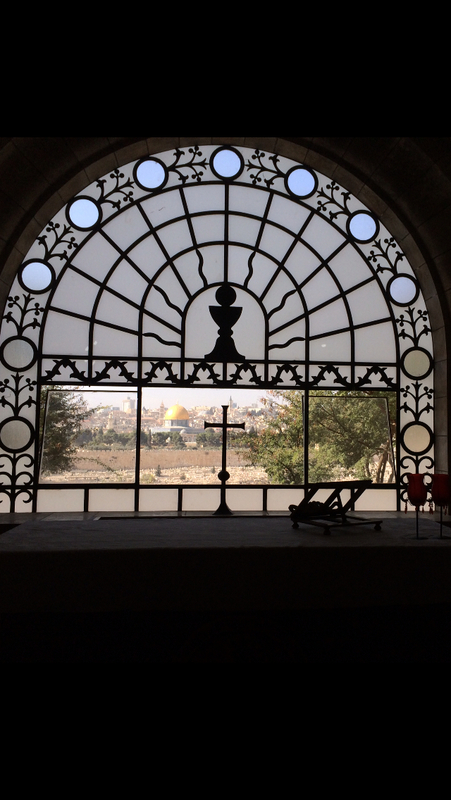 Feeling every year of my age today — a little creaky and moving slow with an hour to be ready to hit the road for a trip to the Dead Sea and Nazareth where we spend the night. 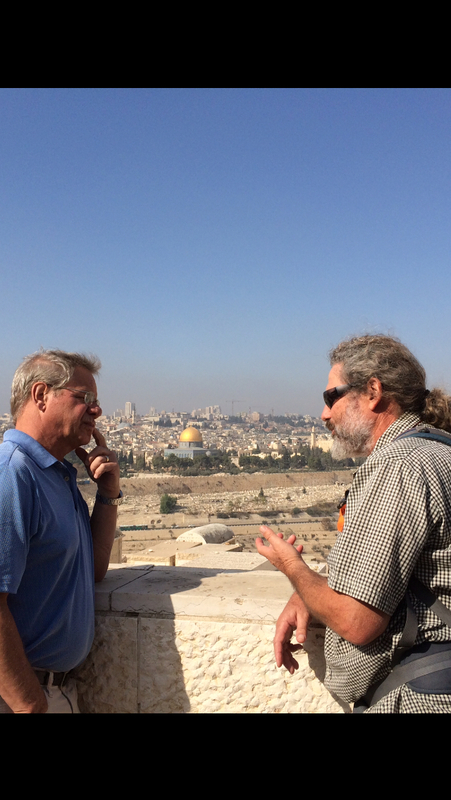 Yesterday began on the Mount of Olives, took us into the city on the Via Dolorosa , stopped in an ancient cistern filled with the echoes of the past (unfortunately wasted on this claustrophobe,) and ended back in the old city, crossing the roof tops and navigating twisty stone staircases. Amir is a remarkable storyteller and biblical tales that had never meant much more to me than a fairytale became the stuff of real drama and intrigue, heroism and betrayal. My mind is still grappling with it all but I think it’s safe to say that I look at the world differently today than I did yesterday, and that’s the best you can ask for from a teacher. I cannot recommend him highly enough as a guide. The day was supposed to end in Bethlehem, cooking what would in essence be our Thanksgiving dinner in the kitchen of a Palestinian family. But once I found myself lying flat on the streets of old Jerusalem, staring up at the blue sky, I reevaluated and thought a little rest would not come amiss. So Thanksgiving dinner turned out to be a very good burger for Jer and mac ‘n cheese for me at a bistro across the street from our hotel, and we had an early night. There were some culinary high points, though. 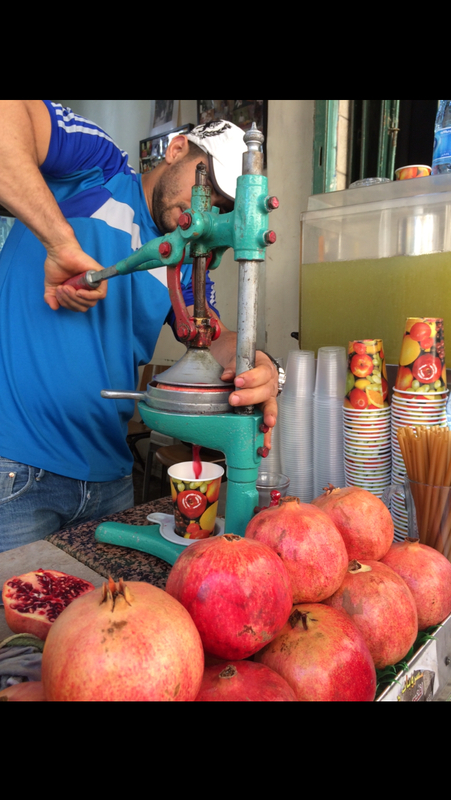 Freshly squeezed pomegranate and orange juice, tart and refreshing. 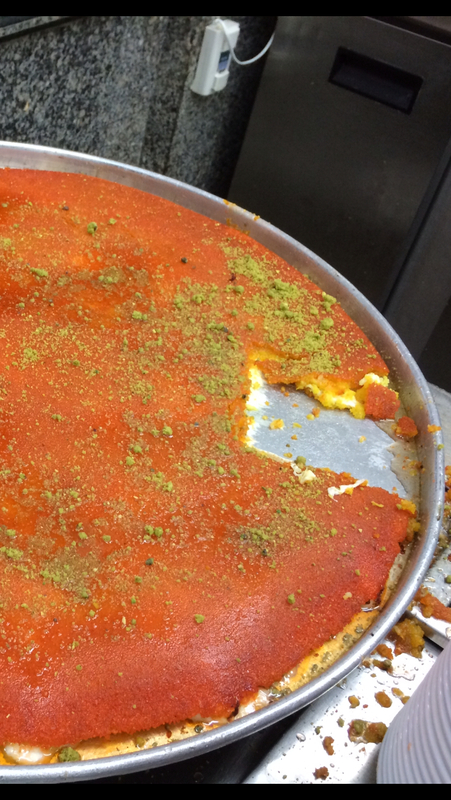 Brilliant orange kanefeh, a fabulous dessert of syrup-soaked semolina pastry over melted goat cheese with pistachio sprinkles. 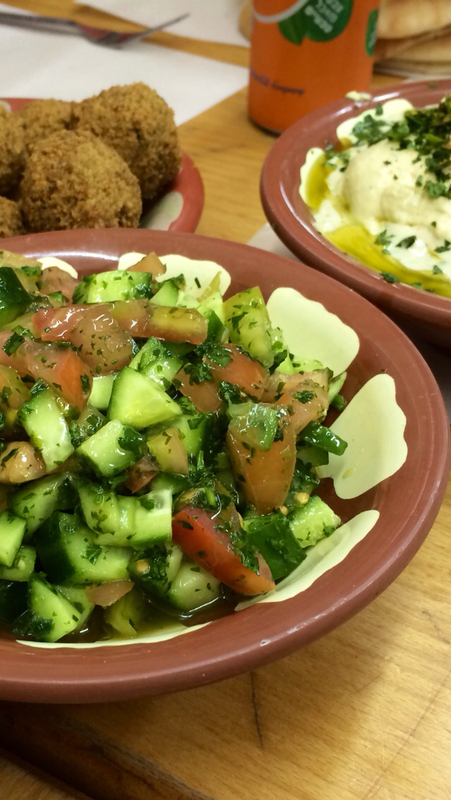 Maybe the best falafel I have ever had and phenomenal hummus at the tiniest ever hole-in-the-wall restaurant. Super, super day, crowned with a FaceTime conversation with my dear mom and other special family members. Really so very thankful for so many things. And that’s what the day is all about, after all.